Coming soon to Windows 10 gamers on PC will be the first step in the Forza franchise’s aim in exposing more to the popular Xbox racing series. And it’s free too. Forza Motorsport 6: Apex is a highly curated version of the Xbox One game that has been designed to take advantage of PC hardware and DirectX 12 to deliver visuals at resolutions up to 4K. 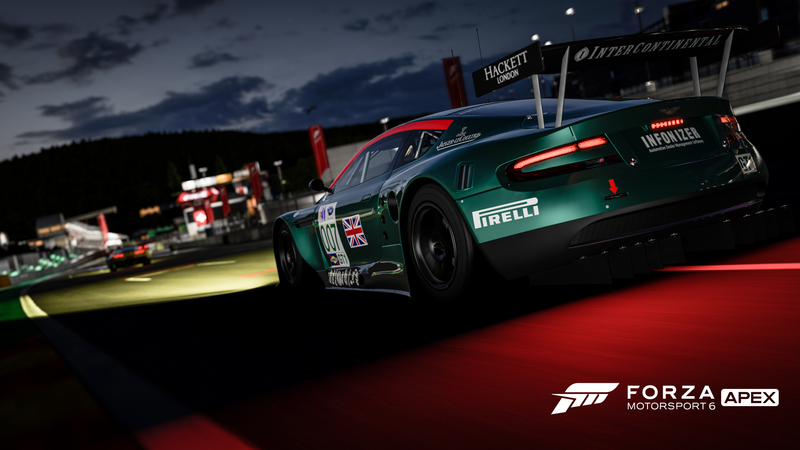 Racing at night in Forza Motorsport 6: Apex – Click to see in 4K. In terms of gameplay it actually sounds a lot like a natural extension of what was achieved in 2015’s Forza Horizon 2 Presents Fast & Furious with a focus on delivering a short but varied experience but this time once you complete the base game, additional showcase events will become available on a regular basis, giving players incentive to return and compare scores with friends. I’m curious to see how it turns out. A little more influence from Forza Horizon might be exactly what is needed to inject some life into the series and the entry level is so low thanks to a zero price point that a lot of people will be very willing to give it a go. For more details, see the original announcement from Xbox Wire here. The game will be available soon for free from the Windows Store. So they are promoting Direct X 12 with this version. I wonder why the Xbox One version didn’t get the same treatment? I guess they have little incentive at this time to try to further optimise the game as it’s already running at 1080p/60fps on Xbox One but if Forza Horizon 3 ups the ante again on the visuals, anything they’ve learned here will come in handy.